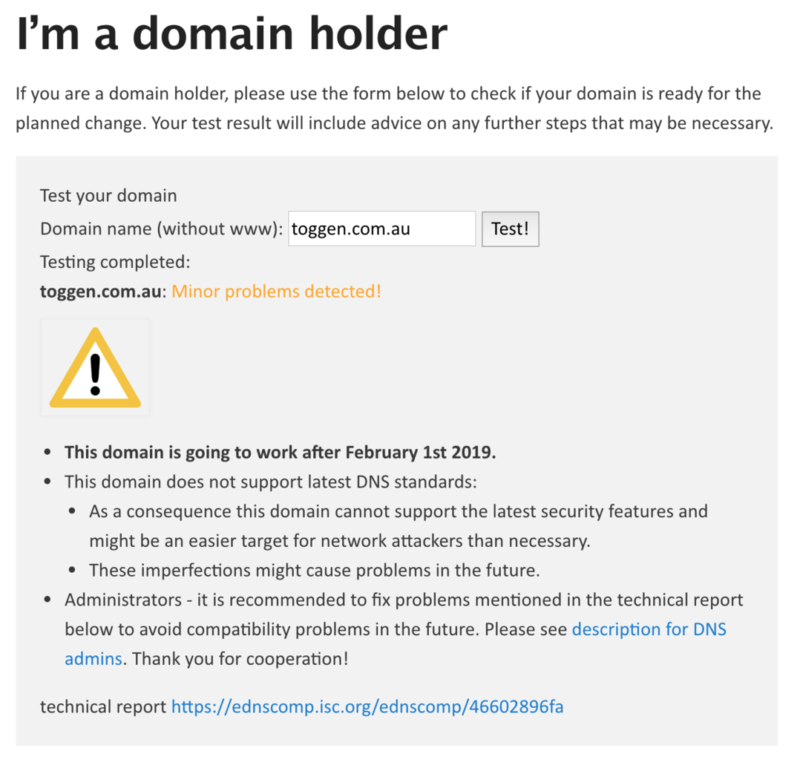 Apparently according to https://dnsflagday.net a large number of ‘big’ DNS providers will switch to run more standards compliant software from Feb 1 2019 … tomorrow. It would be nice if AWS had some sort of information posted which would assuage my concerns. Perhaps they do and my Google is broken. 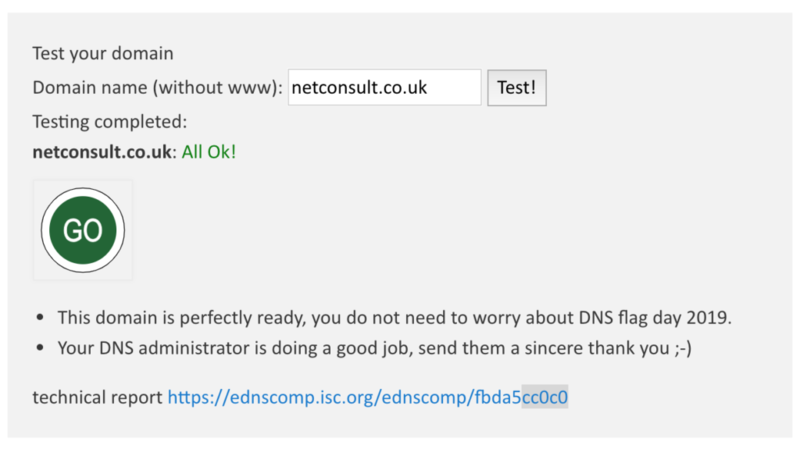 A domain that runs on ‘standards compliant’ DNS software reports All Ok!